Hospitals and other health care organizations have been working with software development companies to reduce medication errors by utilizing health information technology (HIT), improving processes with the help of evidence-based management, mitigating risk of errors that cause harm, and building a system that prioritizes security for safety and quality care. Ayoka’s experience with clinical analytics, HIPAA compliant software, and health records management provides a robust foundation for providing security, privacy, and records analysis through data monitoring, reporting and business intelligence solutions like evidence-based management. Most medical records are still stored on paper, which makes it hard to coordinate healthcare, measure quality or reduce medical errors. It’s estimated that storing medical records on paper costs twice as much as electronic claims. The Department of Health and Human Services and the FDA have been a driving force behind the overhaul of current healthcare practices. Medication errors reported to the FDA stems from an array of influences, from poor communication, misinterpreted handwriting, drug name or label confusion, lack of employee knowledge, and lack of patient understanding about a drug’s directions. “But it’s important to recognize that such errors are due to multiple factors in a complex medical system,” says Paul Seligman, M.D., director of the FDA’s Office of Pharmacoepidemiology and Statistical Science. Healthcare systems that utilize HIT, like computerized physician order entry (CPOE), automated dispensing, barcode medication administration, electronic medication reconciliation, and access to personal health records, have seen a drop in medication errors while automated notes and records, order entry, and clinical decision support among providers report fewer complications, lower mortality rates, and lower costs. 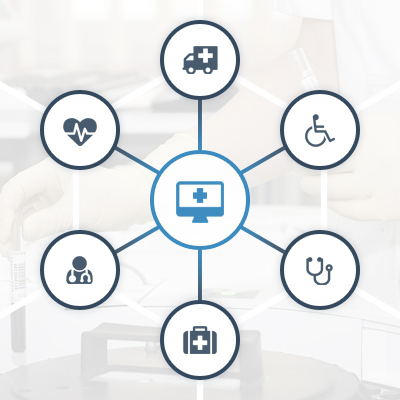 Ayoka’s experience in custom software development for health care companies have offered the ability to receive data in real-time and open communication lines between medical and pharmaceutical staff, while complying with HIPAA and other regulations to avoid misappropriation. EMR applications for mobile devices and smartphone software development provide new options for health records management, and these interactive applications may be used to educate patients about appropriate medication use and remind them to refill or take medications as prescribed. Online connectivity would bring about a more sophisticated style of monitoring, interaction, and communication between health care providers and patients. Overall, discussions around electronic medical records (EMR) with concern of the health and safety of patients are leading to an increase demand for medical software development with the goal of accessibility and readability coupled with a competent HIT infrastructure for optimal health records management. Serving clients through close collaboration is our goal at Ayoka, a Texas software development company. Call us today at 817-210-4042 to experience true service in healthcare application development!